China is large and is highlighted by the big cities such as Beijing, or Shanghai that demonstrates the development of country. 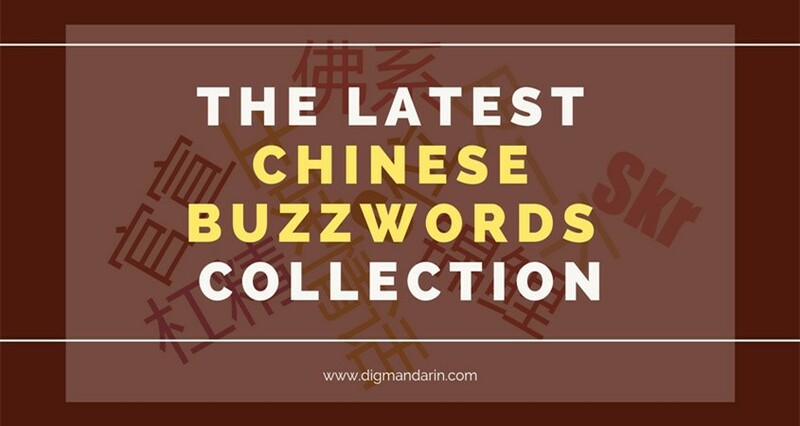 However, does China have unique sites that you don’t know about? Yeah, it does! 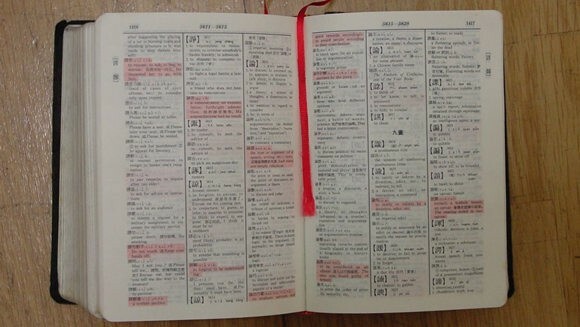 You will be surprised that these places exist in China because of popular knowledge. 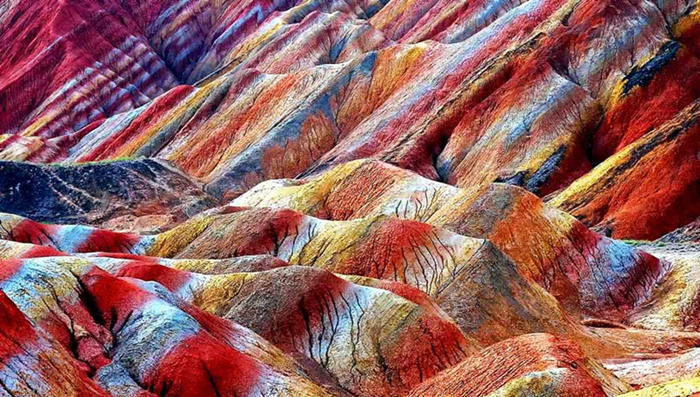 Here are 10 places that you won’t believe existed within the Middle Kingdom. 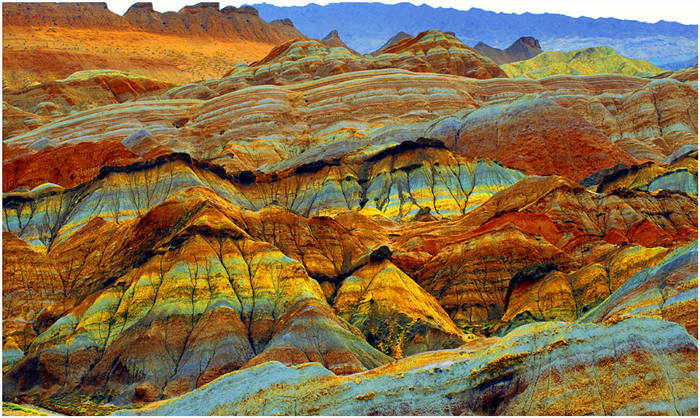 The Zhangye Danxia Landform formed 600 million years ago and covers an area of more than 510 square kilometers. It looks like an oil painting when the vast red rock formations are simply set against pure blue skies. 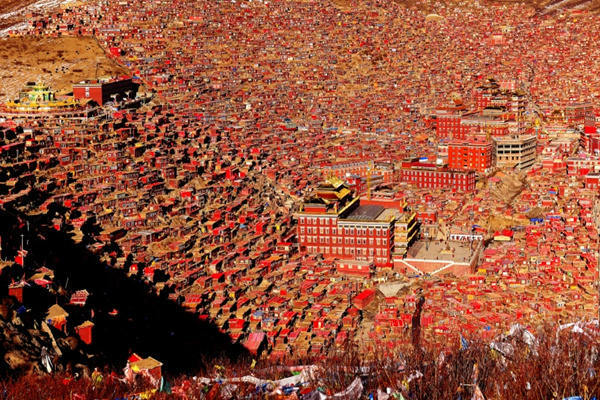 Seda Monastery is the world’s largest Tibetan Buddhist School. The school captures the elegance of a holy place lost in a sea of tiny red houses in western Sichuan. Seda, known to Tibetans as Serthar is located in Ganzi prefecture in the west of China’s Sichuan province was briefly a hotbed of protests and violence since the Tibetan uprisings of March 2008. 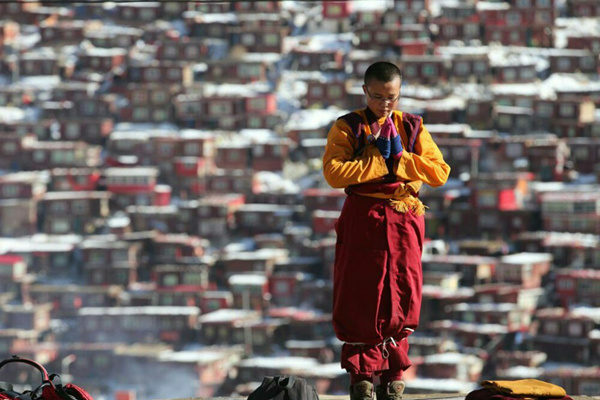 The Seda Monastery has grown rapidly to become one of the most important Buddhist schools. The surrounding hillside is now home to the monks who study at the school. The monks will go to school and study Buddhism every day. They have a few hours a day to rest but during the rest of the day they study and pray. The local residents from neighboring villages, like the woman in traditional dress (below) also make the journey to Seda just to pray. 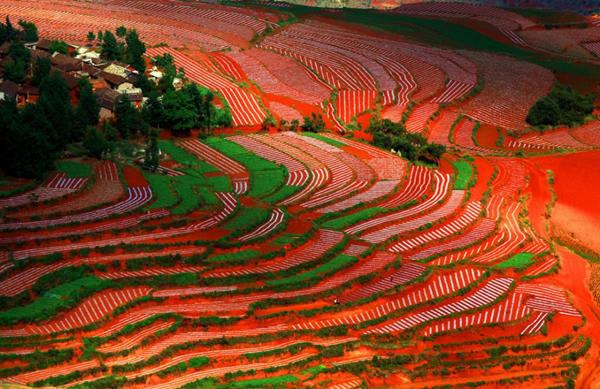 The Dongchuan Red Land is a 77,000-square mile area located about 25 miles southwest of Kunming City. The region’s subtropical climate causes iron to oxidize and deposit in the soil, which gives it a deep red color. 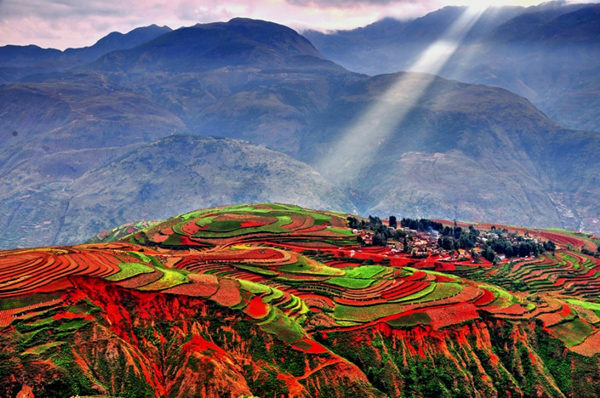 The red soil color is emphasized by the other colors of the surrounding landscape, contrasting against green barley, golden buckwheat, white oil flowers, and the blue sky. Often described as a ‘palette’ of colors, the area is best visited from either May to June or September to November, when various crops are ripe and the colors are most distinct. 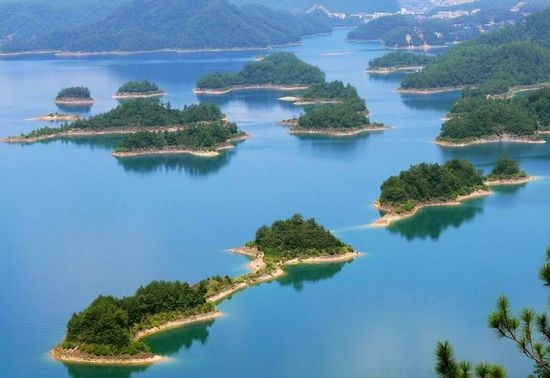 Qian Dao Lake, also known as Thousand Islets Lake, is a man-made lake developed in the 1950s after the completion of the Xin’an River hydroelectric station. More than 358 square miles of villages, plains and hills were evacuated and flooded, unintentionally creating a dream-like landscape of more than 1,000 tiny islands. Many of these islands have since been developed for tourism, with some featuring themes and offering activities ranging from water skiing to mountain climbing. 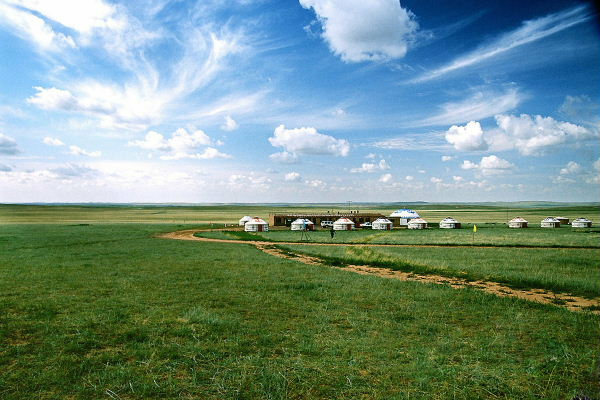 Located in Northwest Xinjiang, Nalati Grassland is one of the world’s four largest grasslands and the highest one in China. 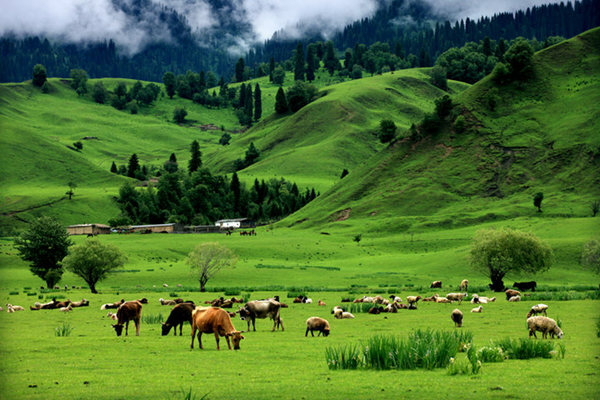 The first words that come to mind when you arrive in Nalati are idyllic, pastoral, and serene. There are rolling hills with sheep and horses grazing on lush green meadows, shimmering streams, fresh air, all surrounded by high, snowy mountains. Summer is the best time to visit when the grassland is covered in colorful wild flowers. Listed on UNESCO’s World Network of Biosphere Reserves, Shennongjia is a truly marvelous place, famed for its dramatic scenery, abundance of medical plants and wildlife.It is also known for being a home to the mysterious Yeren, a Chinese mythical creature akin to the Yeti or Big Foot. 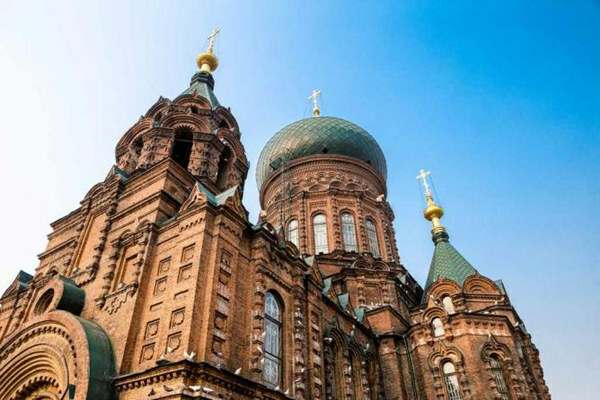 With its deep green onion domes and golden crosses, Saint Sophia Cathedral is one of Harbin’s most recognizable landmarks. Standing 177 feet tall, the church is the largest Orthodox Church in East and Southeast Asia. It was built by Russian expats in 1907, managing to survive the Cultural Revolution that saw most of the city’s other Orthodox churches destroyed. Today, the church’s unrestored interior houses a museum dedicated to the city, while its front square is a popular local gathering spot. 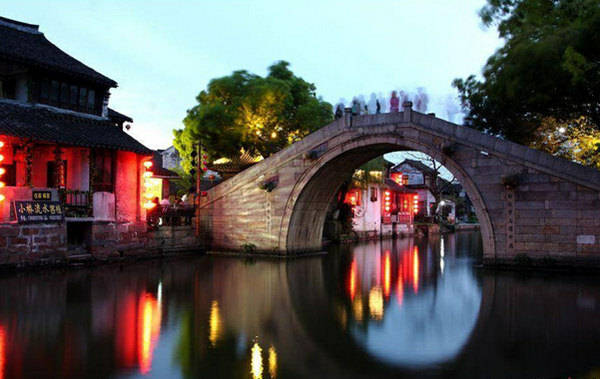 Xitang is a traditional water village in Zhejiang Province near Shanghai, and was built on canals and rivers. 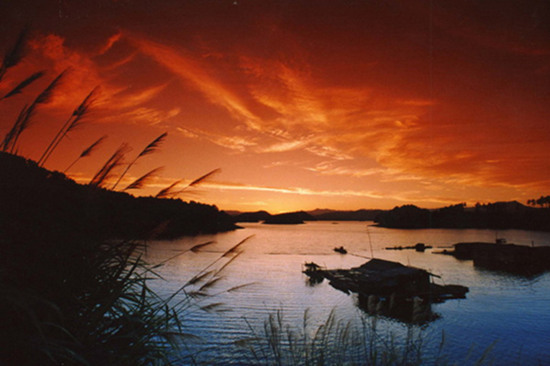 Historically during the Spring and Autumn season, the village was located between the states of Yue and Wu. Nowadays, there are way too many people visiting, and the village has been adjusted to what the local tourism board thinks foreigners wants. For example, some of the houses have been re-styled to take on the shape that foreigners expect them to be – even more ‘Chinese’. All houses and streets are also lined with lanterns. Before the tourism changes, you could easily come here and experience real village life. Now, everyone’s livelihoods have become entangled with tourists and lost its sense of history. 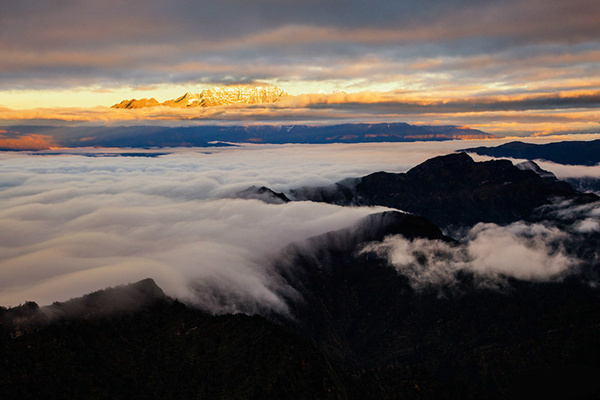 Niubei Mountain is located in Yingjing County, Ya‘an, Sichuan, bordering Luding County. 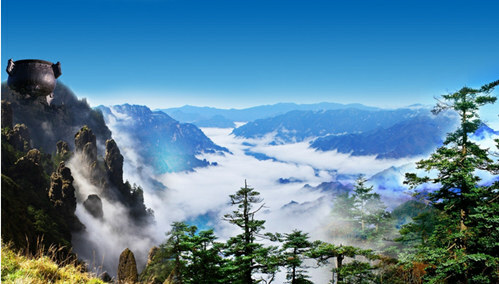 The mountain is a branch of Mount Erlang, and also the watershed of Qingyi River and Dadu River. The elevation of Niubei Mountain is 3,600 m. On one side of the mountain, the rocks on the cliff resemble a bull’s head, while the thin and long ridge looks like a bull’s back. 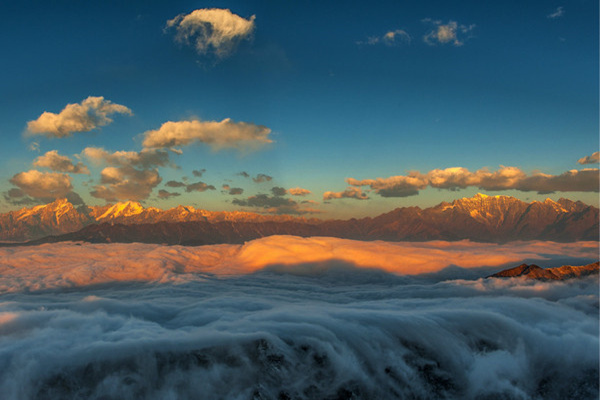 If you stand on the pediment and look around, below you is the tumbling sea of clouds, and around you will be the vast snow mountains. The spectacle is amazing and jaw-dropping. This massive statue is dedicated to Guanyin, the Chinese Buddhist goddess of mercy, and is a part of the Nanshan Temple Complex. At 354 feet, the statue towers over the surrounding area. 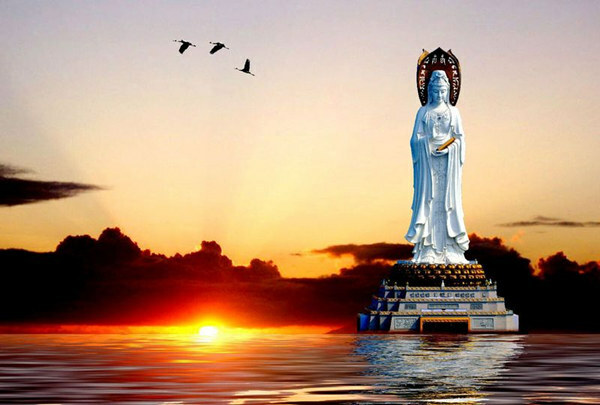 It’s said to be the world’s tallest statue of Guanyin, as well as the fourth tallest statue on the planet. 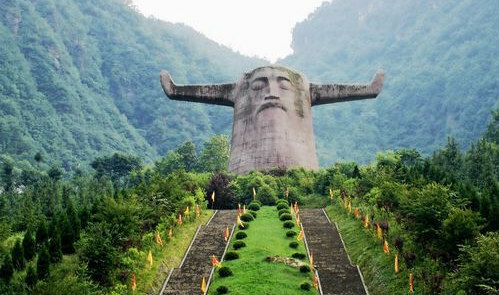 The statue has three faces, one of which looks towards the land, and the other two point towards the South China Sea. China is such a large country and it’s always not easy to explore all over the country. 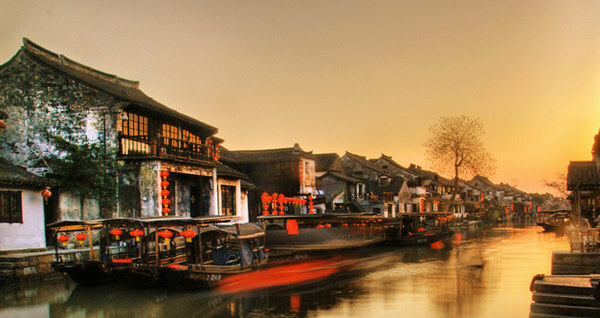 We listed the top 50 national 5A tourist attractions in China on our resource page. There are still numerous fabulous sceneries we didn’t mentioned or haven’t discovered yet. 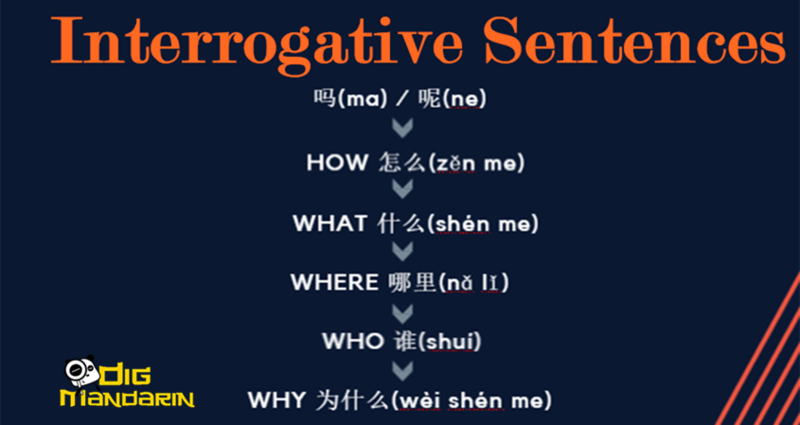 If you have been to place in China that we didn’t mention, please don’t hesitate to share with us.